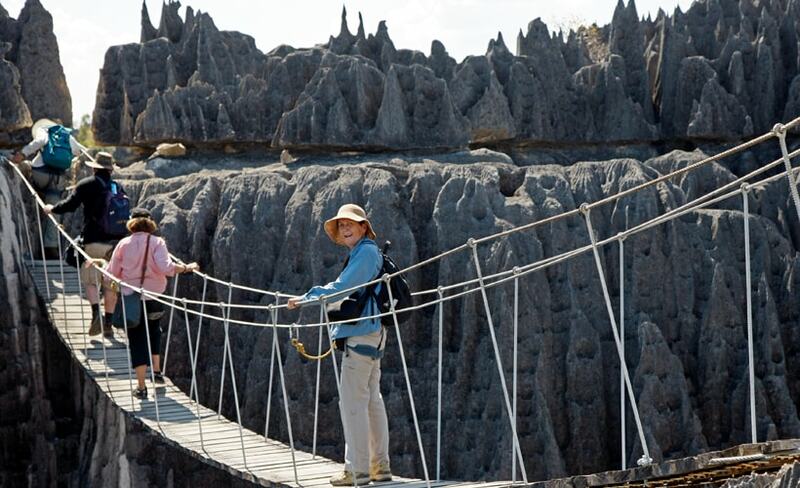 The highlight for many of us on our Madagascar trip has been the trip to the Big Tsingy. Just getting there is an adventure! 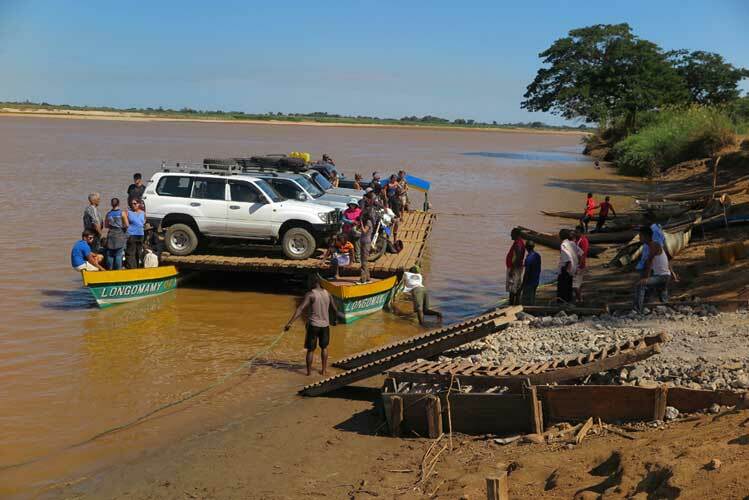 After passing through ancient baobab forests we finally reached the Tsiribihina River where we loaded our 4WD vehicles onto the flimsy rafts that we shared with the local Malagasy. We were on our final leg to the village of Bekopaka, the entrance way to the remote and mysterious limestone labyrinths that make up the Tsingy National Park. 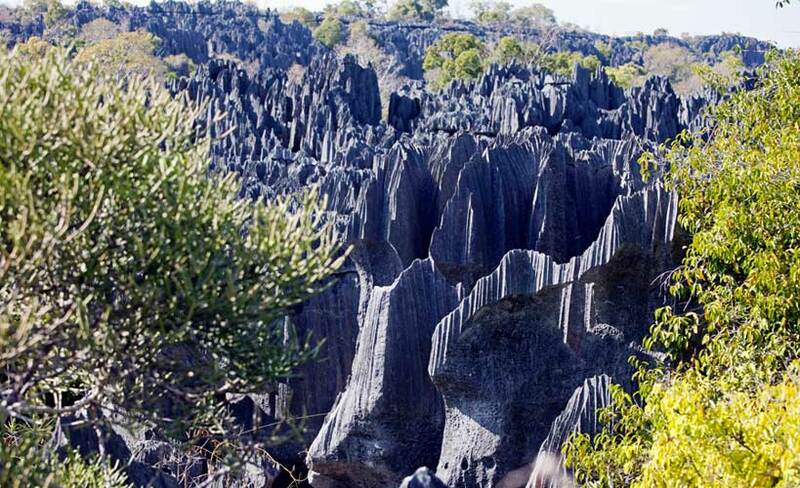 The spectacular mineral forest of Tsingy de Bemaraha, affectionately known as the Big Tsingy, stands on the western coast of Madagascar. 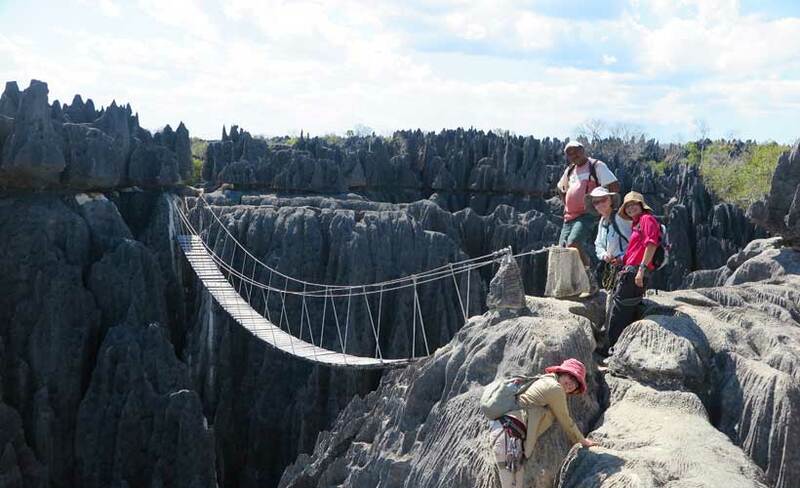 Tsingy is the Malagasy word for “walking on tiptoes” and the nearly impenetrable maze of limestone needles justifies this name. The whole protected area, designated a World Heritage Site by the UNESCO in 1990, comprises a surface of 1.575 km². 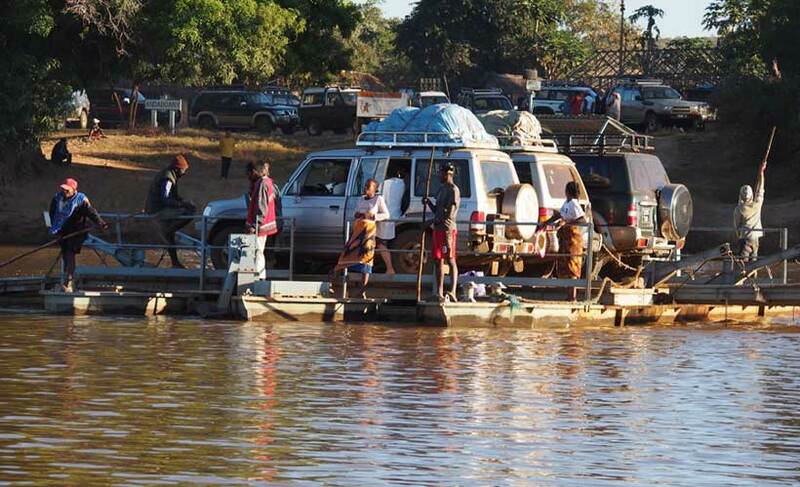 This remote area was not a tourist trek until 1998, when the southern part was declared a National Park. The reserve’s canyons, gorges, undisturbed forests, lakes and mangrove swamps display an astonishing richness of fauna and flora which have still not been completely recorded. We started our ascent out of Bekopaka early in the morning and trekked through the shadows of the forest. Along the way we spotted several lemur species. 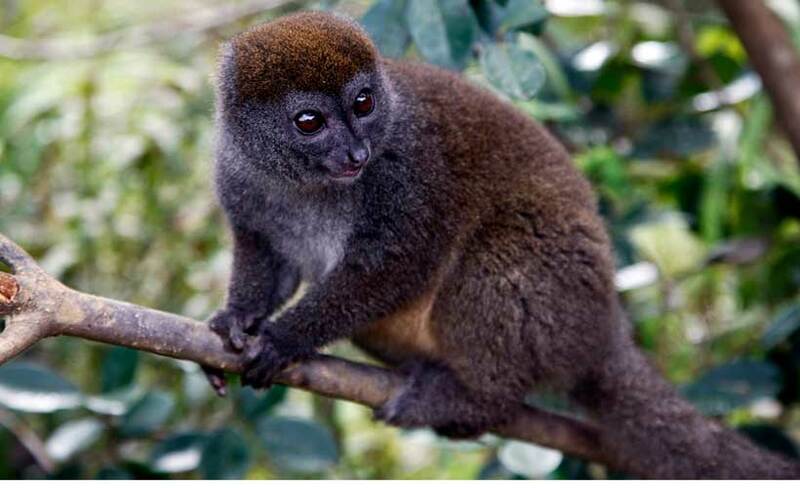 The area has 11 species in total, including Decken’s sifaka, red-fronted brown lemur, fat-tailed dwarf lemur, grey mouse lemur or the Cleese’s woolly lemur and the Sambirano lesser bamboo lemur, which only occur here. 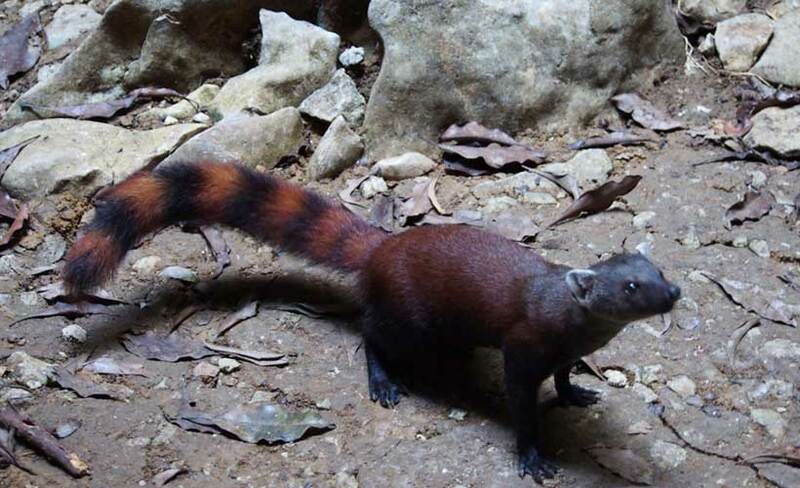 Other resident mammals are the small carnivorous falanouc and the ring-tailed mongoose which predominantly hang out in the canyon floors. Once we had passed through the lush surrounding forest, we then entered the Big Tsingy by sliding through a series of narrow cave passageways to start our ascent to the top. 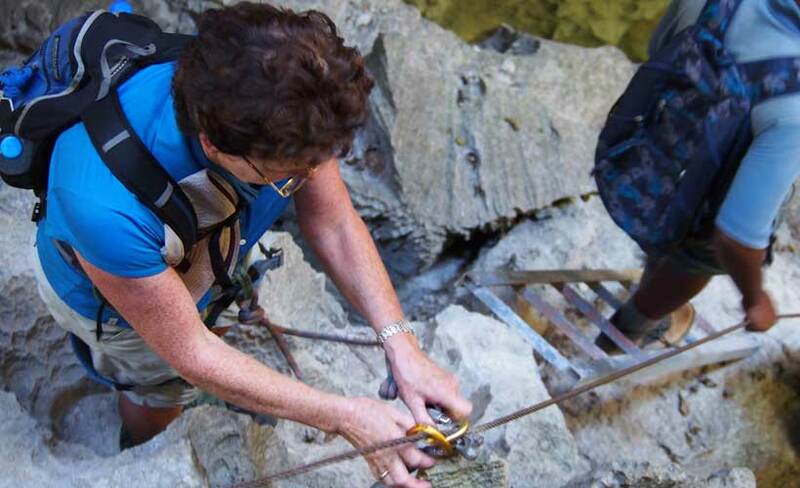 We climbed past layer after layer of razor sharp limestone pinnacles using our harness carabiners to hook on and off as required. A series of strategically placed ladders took us from ledge to ledge. Finally we made it to the top and crossed a swinging suspension bridge to reach the centre. 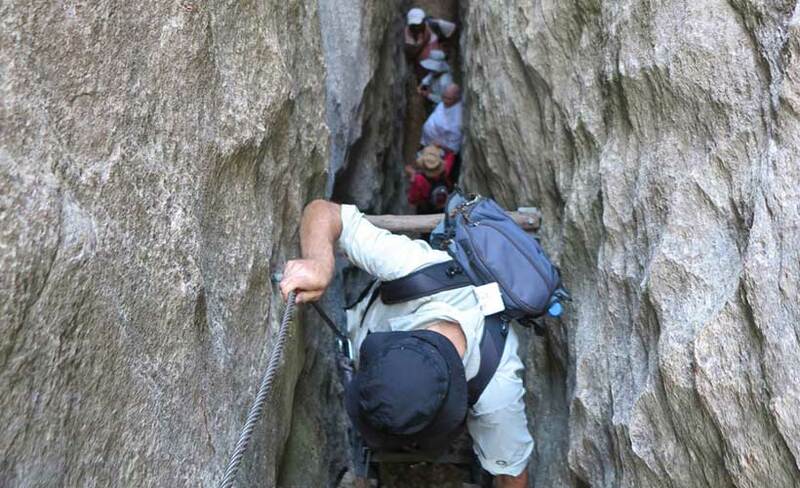 The exhilaration of reaching our destination evaporated all of our anxieties – none of us had ever used a carabiner before! 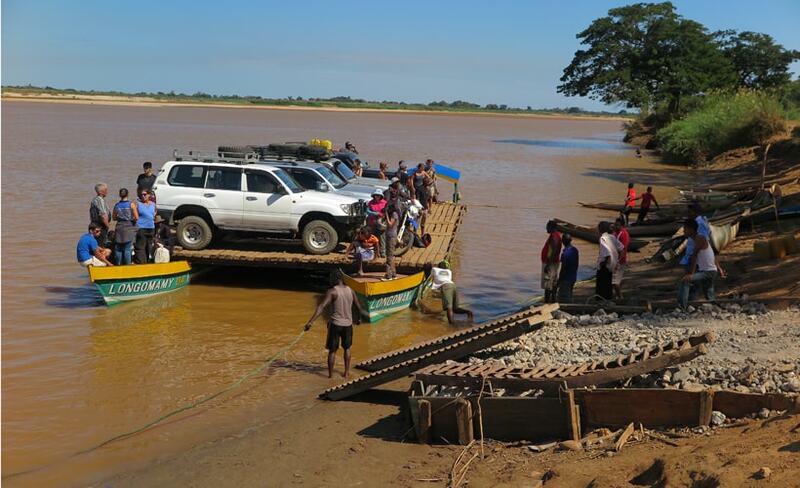 But that was just all part of the Madagascar adventure and our special trip to the Big Tsingy. 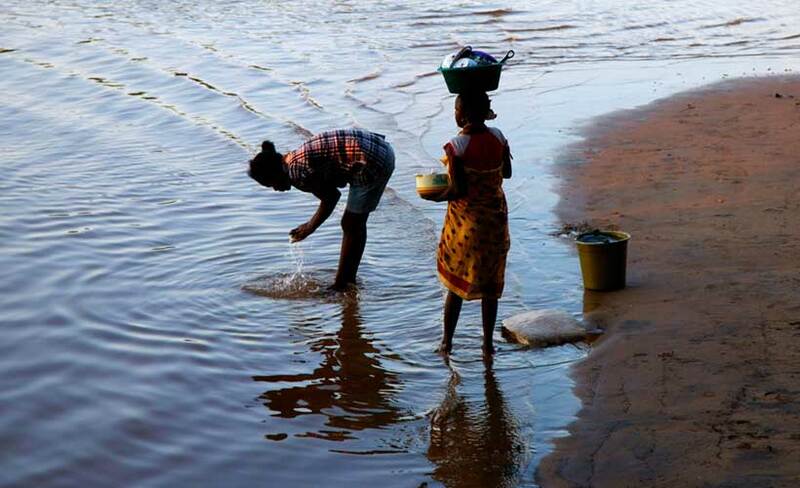 It should be on everyone’s top list of attractions in Madagascar. 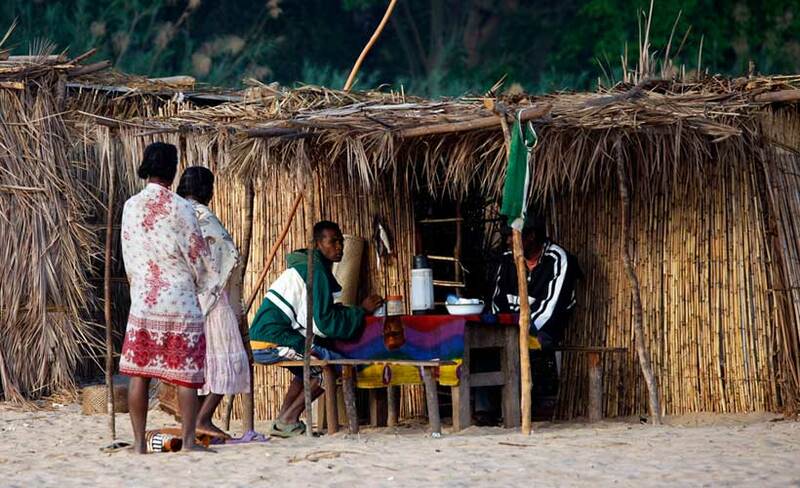 We have scheduled small group tours, family tours and private tours for 4 or more people to Madagascar.